We’ve got something special to share today! Our friend, Heidi Thompson, owner of Evolve Your Wedding Business has published a book! 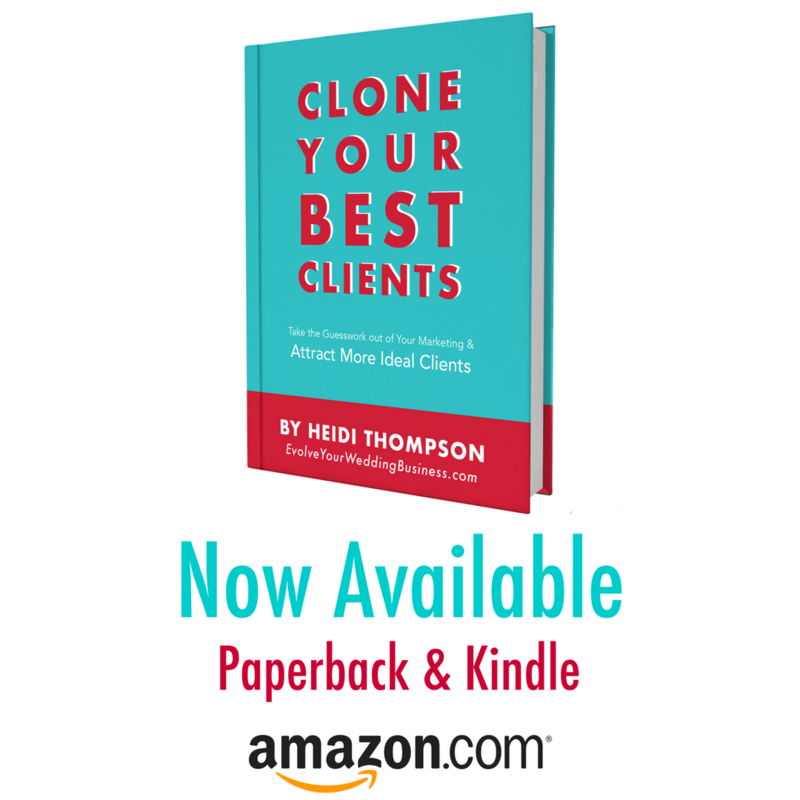 Clone Your Best Clients is now available on Amazon.com. If you buy a copy on your Kindle through May 12, you’ll pay just $0.99. Buy the book before May 23 and send your receipt to heidi@evolveyourweddingbusiness.com and you’ll be able to join in and ask your questions on an exclusive live Q&A with Heidi!